How many times has this happened to you? You compose an amazing post, it is well written, has great imagery, you tweet it out and you wait. It is very frustrating to pour one’s heart, soul, time, talents, and research into a post, only to be overlooked on Twitter. Part of the problem is in timing, part can be Twitter’s algorithm, and part of the problem can be too many Tweets. Those circumstances aside, there is indeed a way to get your Tweet in front of the folks who matter. 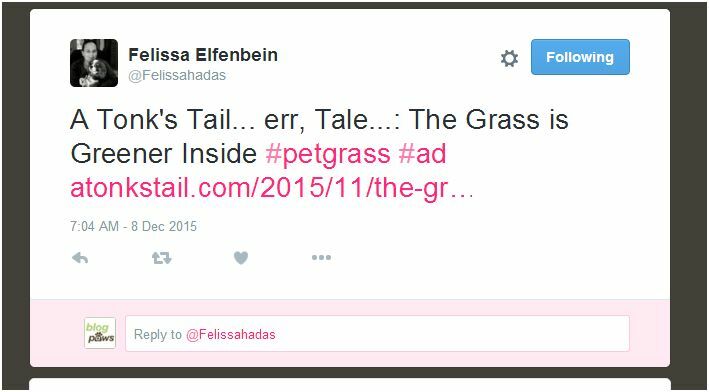 For BlogPaws purposes, if you are working on a paid campaign for a sponsor, we track campaigns by the hashtag assigned to it. When we pull reports on the hashtag, it shows us the tweets you share and the impressions you create. 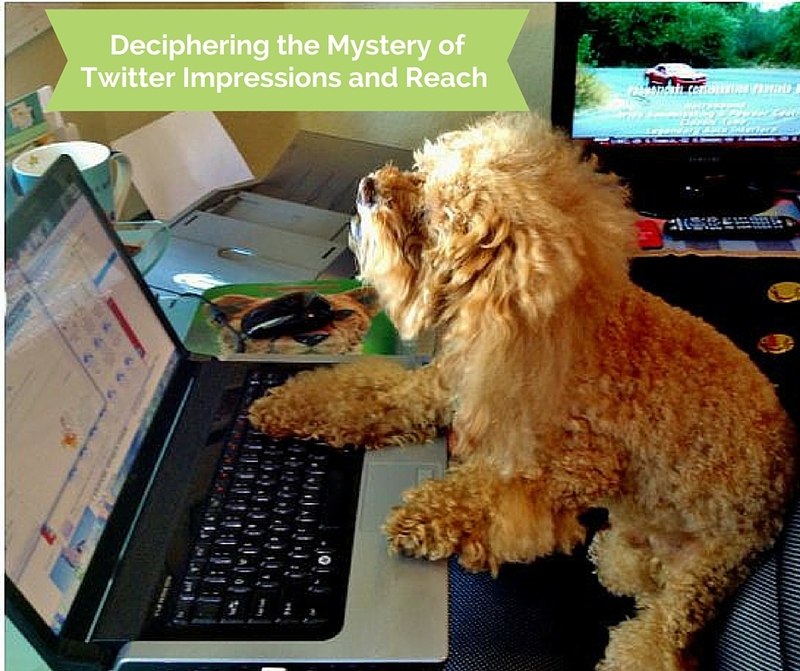 “The impressions created come from the number of followers you have plus the engagements you get on your tweets,” says Chloe DiVita, Director of Events and Programs for BlogPaws, says. Let’s say you have 5,000 followers total on Twitter. Each tweet you send creates 5,000 impressions (assuming none of those tweets start with a mention; more about that later). If someone with 5,000 followers re-tweets your tweet, then 10,000 impressions are allocated to you. 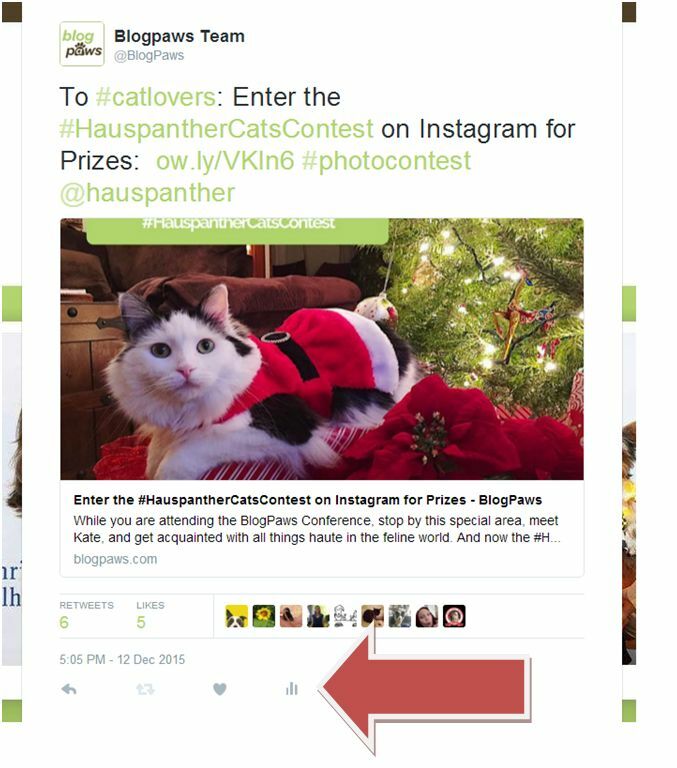 The report BlogPaws pulls tracks the engagements from your original tweet AND adds the impressions to your Twitter handle. Another thing to understand about Twitter and impressions is that when you click Retweet and choose to “edit” the original tweet, you actually lose all engagement on the original tweet. (Example below) Twitter only tracks engagement on the original URL for a Tweet. When you click RT and then edit that Tweet, you are actually creating a new URL that will link to your Twitter account. The previous Tweet’s info will still be included, but by editing the tweet you broke the link that ties Twitter’s tracking ability to the original tweet. Then Chloe clicked Retweet and edited the Retweet. 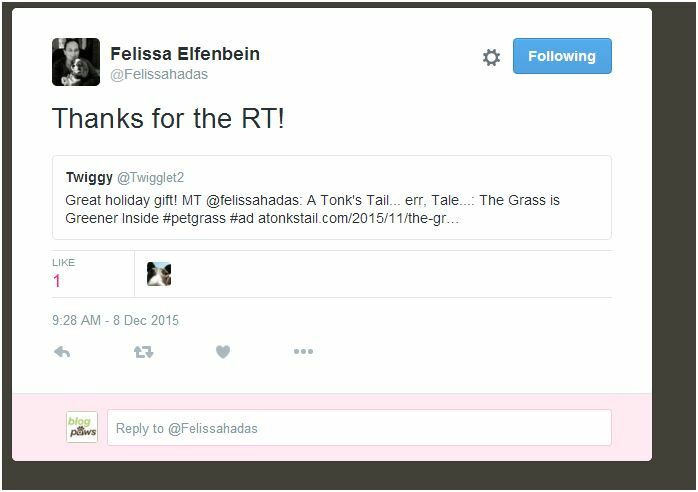 Instead of seeing the RT engagement on Felissa’s tweet, there is now a new link on Chloe’s account for that tweet, see? And you would be able to see the engagement on this Tweet by clicking on the impression bar in the Tweet. So what should you do? In order to get the true engagement and help your friends with their reach, you would have to do an authentic RT (Retweet) so Twitter can track how many times that original Tweet’s URL was shared. To add insult to injury, Twitter removed its API so the world can no longer track content engagement on Twitter. Well, yes, Twitter is actually the odd man out in this case, DiVita says. Their definition of “impression” is different than any other measuring tool of which I am aware. What Twitter calls an “impression” is actually their calculation for how many people saw your Tweet when you tweeted it on Twitter. If it shows 50, then 50 of your followers were online using Twitter at the time you tweeted it and thus saw it in their feed, according to Twitter. Simply Measured, who wrote a blog post about Twitter’s new API, discretely calls out the “on Twitter” part in this little image in their blog post. In the advertising world, impressions are your full potential of eyeballs. If you have 5,000 followers, there is the potential for 5,000 people to see your Tweet. Does that usually happen? No, but what Twitter does not account for is the people you engage with who end up looking at your past Tweets and seeing your content after the fact, or the people who use other platforms, like Hootsuite or Tweetdeck. If you are logged into that platform and watching Twitter, Twitter can’t really tell if you are online or not. There are probably other circumstances that affect the number you see on Twitter and why it’s so low. Brands want to know your total potential, your actual reach, and then your engagement rate. Did you ever click the heart or star on a Tweet? This is a way to show the person responsible for that tweet that you liked it: Sort of the equivalent of a “LIKE” on Facebook. Favorites do not give impressions, but are still good because of showing engagement rate. When someone replies to your tweet and their reply starts with your Twitter handle that only adds 1 impression to your total. The reporting looks at that reply as meant to only reach you because the first part of it is your Twitter handle. @BlogPaws I really love giving my pets treats for the holidays because they are family members. 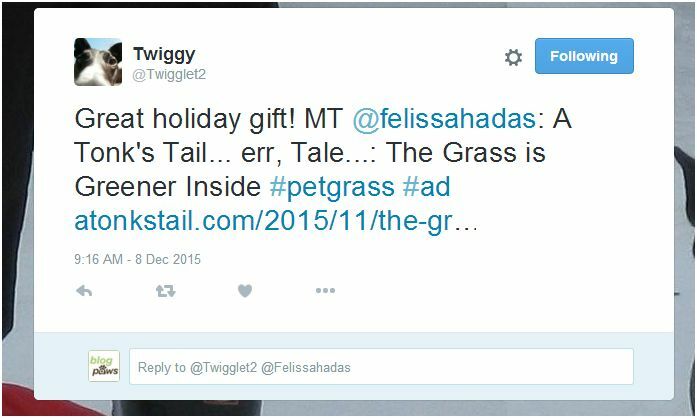 In this example, if you were to tweet the above out, that only gives you one impression because you @tagged BlogPaws at the start of the Tweet. I love giving treats to my pets @BlogPaws because they are family members. Using Twitter’s official definition, engagements are the total number of times a user interacted with a Tweet. Clicks anywhere on the Tweet, including Retweets, replies, follows, favorites, links, cards, hashtags, embedded media, username, profile photo, or Tweet expansion. Raise your engagement rate by watching what you Tweet, when you Tweet, and how you Tweet. Use something like Tweriod to determine when the best time to tweet is for you. Be fun, engaging, practical, useful, and shareable: Use a combination of photos and videos and include some links. Pay attention to what works best for you. How you Tweet is important as well. Tweet often without being annoying. Use something like Hootsuite or Tweetdeck for scheduling tweets. Want a RT? It’s okay to ask for one occasionally, especially with a solid tweet that is worth sharing. Social media moves fast, and Twitter is high atop the list of social media platforms to be engaged in if you want to get on the radar of business, readers to your blog, and more. 15 Ways to Grow a Twitter Following can be found here. How are you growing your Twitter account?